With the Taurus symbol being that of a Bull, it’s often times surprising to know that the Taurus child is very sensitive – in every way. This star sign is so sensitive in fact, that their five best friends are sight, taste, touch, smell and sound! Because they use all five senses in perfect tandem and harmony, every experience for a Taurus is heightened beyond what most can imagine. What many of us miss, the Taurus sign sees, hears, tastes, smells and ‘feels’ all at the same time. In this, Taureans have a masterful awareness and knowing about people and life that is wondrous in every way. Now, earlier I talked about how “touchy/feely” the Taurus child is. But, don’t get me wrong, the well known bullheaded personality label attributed to this zodiac sign is well earned! However, their superior use of the five senses gives them a sensitivity to people and environment that the rest of us simply can’t understand. After a Taurus child touches, sees, smells, hears and tastes everything/anything they’ll very quickly single out “favorites” – musical styles, food, flower or herb smells etc. As Bull’s are very steady and grounded personalities, they are likely to maintain their favoritism for the entirety of their lives. The Taurus child will rarely be sick. They generally have strong bodies and able minds. Combine this with a naturally sweet disposition that wouldn’t hurt a fly and you have a child that’s sure to endear. Even at a very young age your little Bull loves sunshine and fresh air. If you have a garden they can putter in with you, all the better. Apartment dwellers – get indoor plants and teach them how to care for them. This child has a great green thumb. As soon as your Taurus child understand how to count they’ll be come little bankers. This is one of the most practical signs of the zodiac and one that craves sanctuary. To the Taurus personality, money is like a security blanket. Give this child an allowance and watch how the savings grows! The Taurus is the child who is hesitant to open the toy for fear it might get lost. One thing that helps is encouraging your child to have ONE collection and fully enjoy the rest of his or her possessions. That satisfies the Earth element nicely. As with all parents, patience is a virtue. If you are a Type A, steel yourself now because the Taurus child is forever late. They feel no need to rush or stick to a picky schedule. This tendency gets worse if you put too much on their daily plate. Worry not – you can resolve this by building in bumper room. For example, if you have to leave at 5 pm – tell your child 4:30. They still get to move at the Bull’s pace and you’re still punctual. 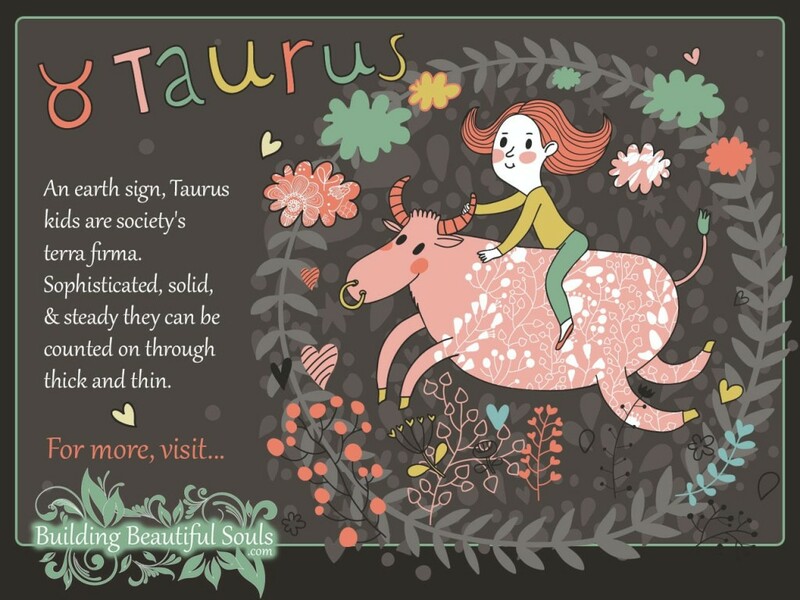 In their personal space Taurus children thrive on comfort and familiarity. They won’t want to continually change the decor of the bedroom. They also dislike changes in the daily routine, strange places and unfamiliar visitors. Continuity and ritual is another security zone for this astrological sign. Any change requires a *lot* of preparation so they can ease into it. What else can you expect from the little Bull? They’re intensely devoted to family and friends. Like the sign itself, they’re also obstinate. They do not change their minds easily and don’t always respond positively to authority as a result. And if you think a “time out” works for your Taurus… LOL. Not! They’re more than happy to pause for as long as necessary to make a point. Alternatively they may become very agitated and destructive. That’s why it’s generally better to talk a Taurus down rather than trying out-right punishment. Balance your words and actions toward your child with a healthy portion of love. When you see steam starting to blow from their flaring nostrils, always remember the Taurus child responds quickly and very well to hugs. They can never get enough of them and hugs even help calm them when the Bull is rearing its horns. Your little Taurus girl shows her Bullish nature from day one. Everything is on her schedule, not yours. If she doesn’t like her baby food, no amount of “airplane” lingo will get her to smile or open up. You can be as persistent as you want, but this child will always out-last you. In fact, it should have been the Energizer Bull, not the Energizer Bunny. Just sigh, relax your shoulders and go back to something tried-n-true. The Taurus girl finds replication comforting, even fun. If she likes mashed potatoes, all that defiance goes away and hands start grasping. In the Taurus world, food is actually for wearing as well as eating! Realistically obstinacy is the most difficult Taurus trait for a parent to handle. You will be tempted to push until you notice that it doesn’t fluster your daughter one bit. If anything she seems almost delighted by your unsuccessful attempts, so you will need to come up with creative parent skills to get her redirected. Don’t get into power struggles over little things – save those for really important matters. Socially the Taurus girl acts very well with people she knows. She enjoys listening to stories, getting hugs from visiting family and cuddling with grandma. While cute, all the while you suspect there’s a little adult in there trying to get out. That’s because she has a calm maturity beyond her years, rarely getting pouty or dramatic. The Earth element in her creates a sense of stability except when her world of pleasure gets disrupted. This Taurus girl will NOT like unexpected noise, unpleasant smells, etc. Another thing that sets your Taurus daughter into a funk is fast change. She likes predictable scenarios. If you know a transition is coming, give her plenty of time to adjust beforehand. Talk to her, set up a calendar marking off the days and continually stress how that change will fit into her daily routine. There may still be some bumps, but this generally soothes the Taurus spirit and gives them a sense of security. A great outlet for your daughter is anything physical. She may love running or dance – athletics are in the Taurus genetic memory. Don’t worry – this gal is not fragile. She can handle whatever she puts discipline into. And when the activity stops, the eating begins. Keep an eye on her diet, balancing the temptation for sweets with healthy alternatives. As a teen your daughter has quite the knack for flirtation, and you will probably have to explain how to use her power for “good” rather than a way to tease. Give her alternatives – creative hobbies, for example. It won’t keep her from that first or tenth date, but may decrease the seeming plethora of admirers a bit – narrowing the field to those with common interests. In school, your teen Taurus moves at a slower pace than her fellows but manages to maintain good grades nonetheless. Her methodical approach works – so work with teachers on those deadlines that she hates so much. Your Taurus boy is certainly a child with his own mind! Try as you might, he will stand his ground until you have no choice but resign the fight and try another route. This is going to be an on-going theme in your son’s life so accept it now. You cannot push him, but you can show him affection. Time and time again that little hug and snuggle improve his attitude. Joy for your child truly comes from love – and not just receiving it. As alpha male as the Taurus boy ever gets he still loves showing affection – particularly to his mother. In his social circle you’ll notice that your Taurus boy is quite adept at whatever he does physically. Where other kids may look awkward, he stands sure and strong, always with a charming twinkle in his eye. Nonetheless he veers to the sidelines a bit. Bulls do not like too much attention. There’s an underlying sense of confidence in your little Bull but it’s tempered with deliberation. This child won’t rush into anything. His routine is predictable and constant, and woe to the person who disrupts that persistence. You cannot bully the Bull! You also can’t give him fluffy explanations. 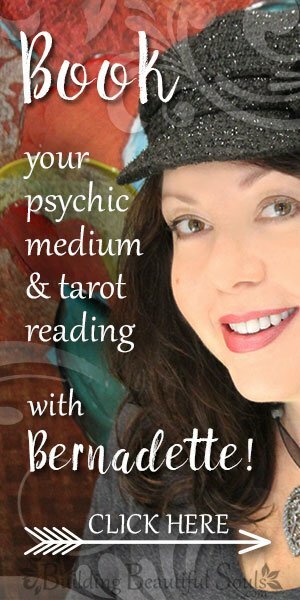 The Earthy nature of your Taurus son means he’s going to want logic and sensibility in anything you or his friends say or do. This actually makes it relatively easy to broaden your son’s horizons. As long as you don’t talk down to him or try to force a point, he’ll accept rational counsel. In school the Taurus boy should do well. He has no trouble with rote learning or staying focused. You won’t have to nag your Taurus child about homework so long as you let him work at his own pace. Give them a comfortable study space and he will happily tackle the day’s tasks. The sensitive side of Taurus is naturally attracted to music. Find something he enjoys playing and get him lessons. While he will never want to perform in public, playing is very soothing to this child’s spirit. Creative outlets also help tremendously. As a teen he will become far more physical and grounded. A Taurus teen is one of the easier children to manage at an age that’s normally tumultuous. Instead of crazy, he has dependable practicality and maturity. If you honor his distinctive biorhythm and show him continuing love, he’ll likely become quite the young man. I’m an Aquarius (although I don’t feel like fit the “flighty” aspects) and have a two year old Taurus boy. I’m not sure how to handle the terrible two tantrum phases with this one. He’s so good natured most of the time, but when he’s not…the whole neighborhood knows about it. Lol. I’d love to hear any advice on how we can both survive this stage of childhood-I’m currently 7 months pregnant (expecting a Virgo boy) and am at my wits end on what to do and try with this sweet bull of mine.